Today was a busy one for Enyi and I. We closed from work around 5pm. We had asked to be allowed to go take brunch by 12pm. We came back by 2pm. Talk about a by-force break! So though we’d had a busy day, we were not so tired after all. Now, Enyi is the perfect combination of beauty and brains. She. Is. PRETTY! And there is this guy, let’s call him Kay, that really likes her. He came to take us out. 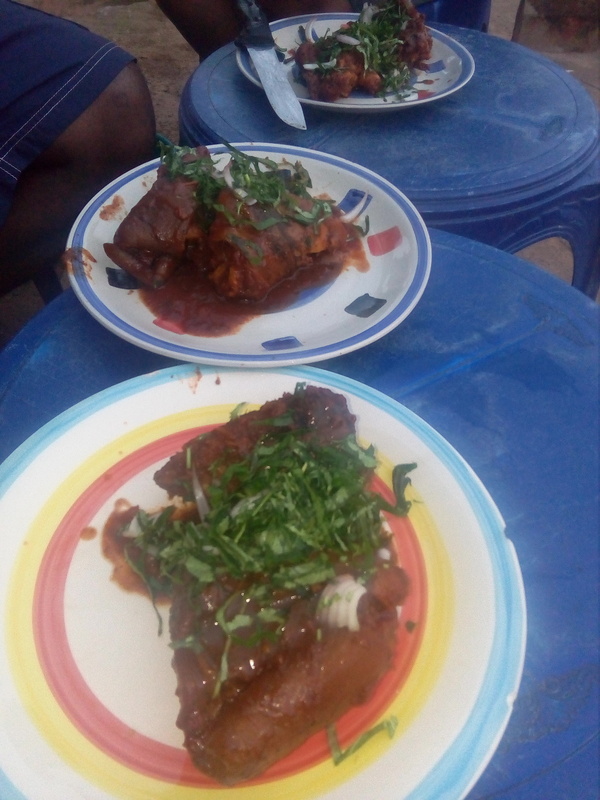 They called it OkoEfi or mango meat. 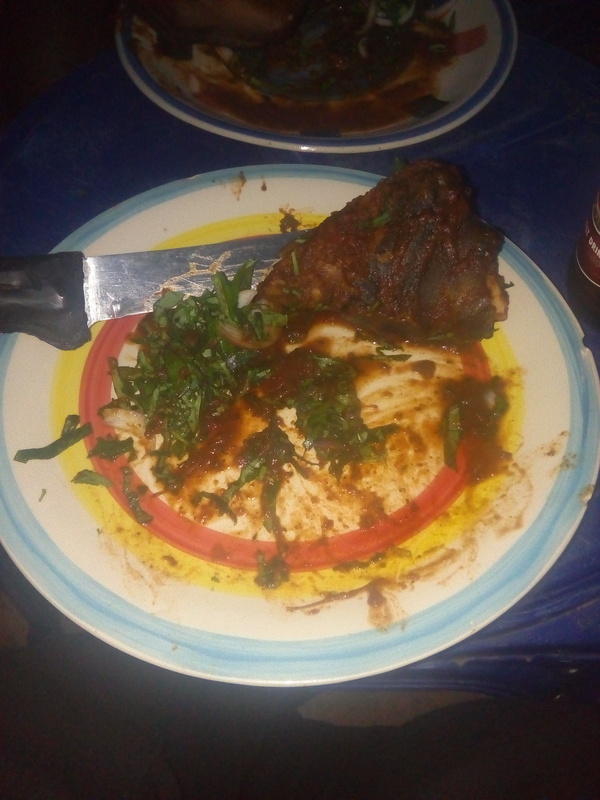 That is one meat down o. That meat was BIG! You see that knife, I had planned to battle the gigantic piece of animal with it but it was wasting my time so I washed and used my hands. It was even sweeter that way. 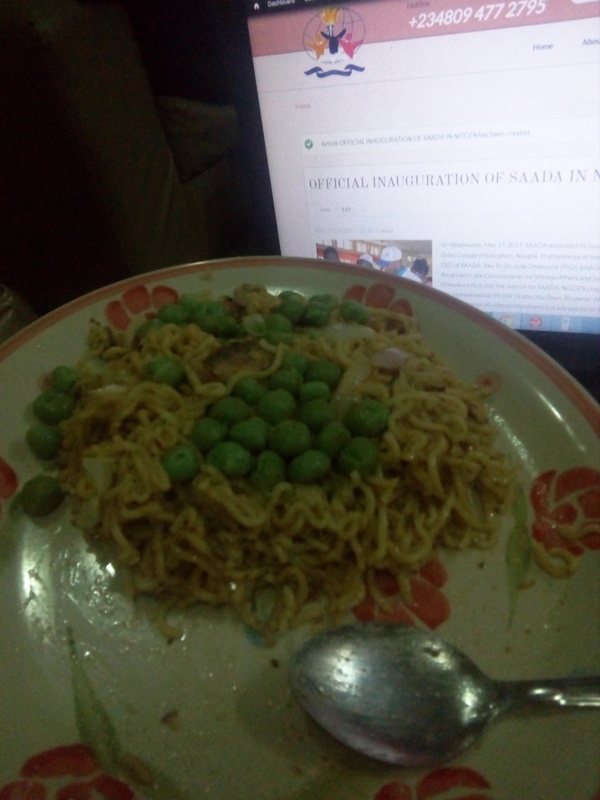 Now that is Indomie, sardines (you can’t see it, but I tasted it) and peas with pepper and onions just the way I like it. Yes, I’m an ‘indomite’ like that. And I had gone half way before I remembered to take a photo of it. 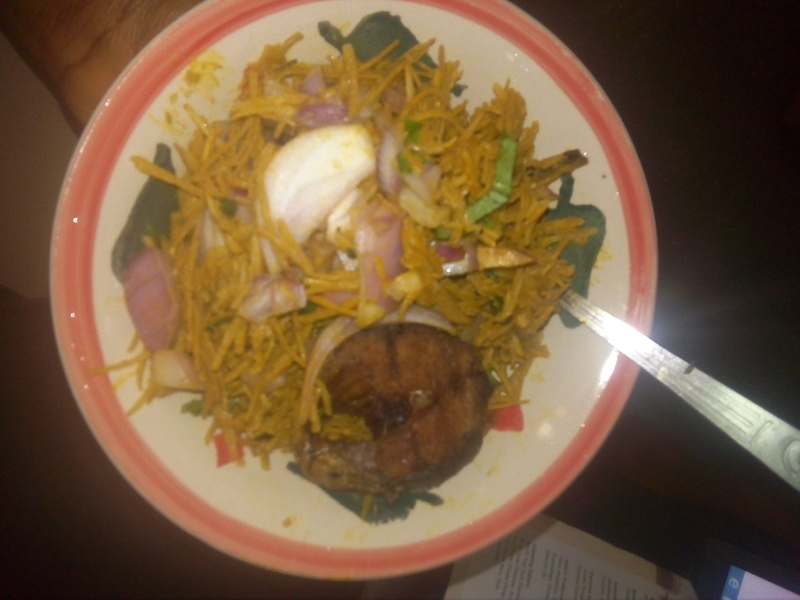 This is called Abacha. An Igbo delicacy. With raw onions, some vegetable and fried fish. This is just the beginning. I intend to eat every Igbo delicacy I find here.Don’t I just have the best PPA?